Tune Talk recently added the Microsoft Lumia 430 dual-SIM version to its online store, offering the device for only RM250 (retail price is RM319). As with usual Tune Talk bundles, it comes with zero contract, free airtime, free data, and more. Available on its online store immediately, the prepaid bundle comes with RM500 worth of freebies including RM100 of airtime, 1GB of data, free Tune Talk SIM pack and a free flip case worth RM30. On top of that, you can still enjoy the usual Microsoft goodies like free storage on One Drive, free Office 365 subscription and such. 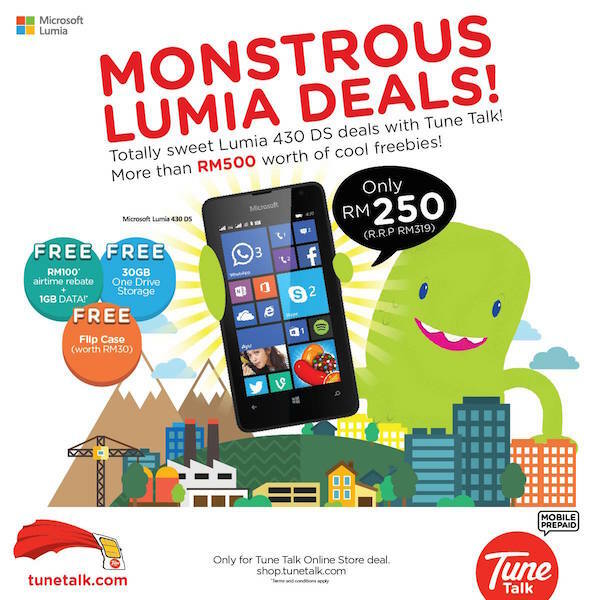 Do note that while there is no contract to purchase this bundle from Tune Talk, you will need to keep your line active in order to make use of all the freebies provided. The free RM100 of airtime and 1GB of data will be credited to your account over the course of 10 months – RM10/month airtime and 100MB/month data. A minimum top up of RM30/month is compulsory. 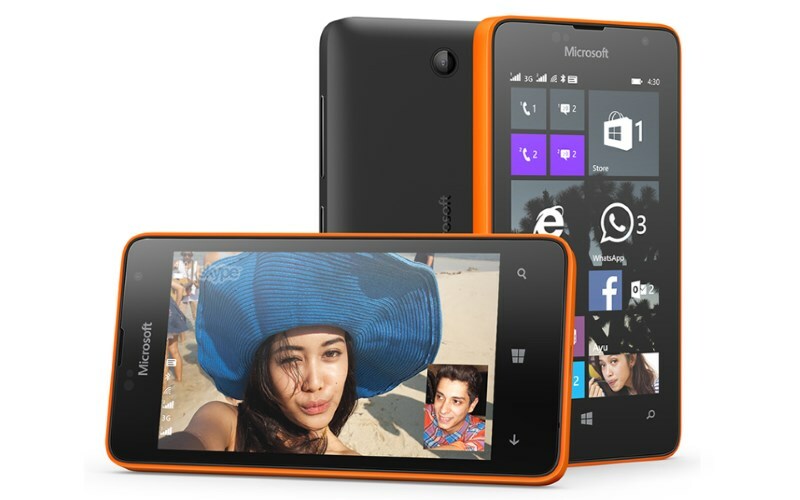 Check out Tune Talk now for more information about its Lumia 430 bundle, or visit our previous post for more information about the device.